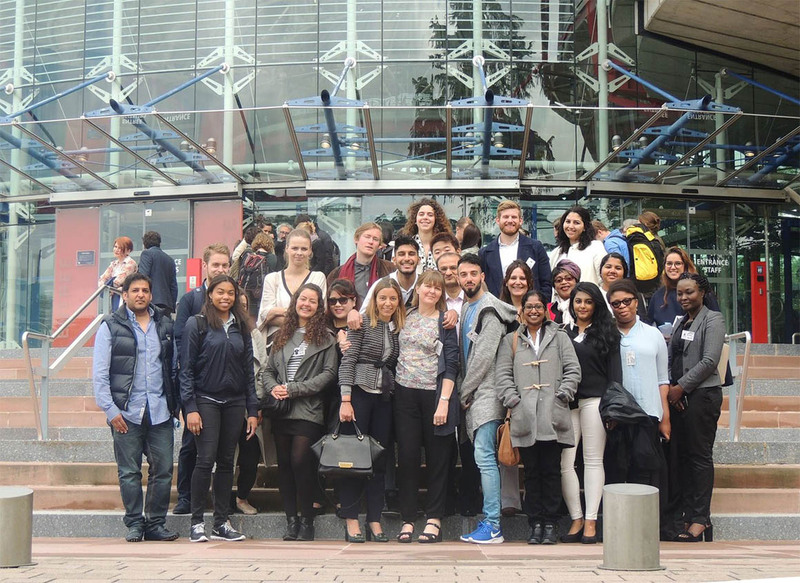 Middlesex University students from the London and Dubai campuses came together for a study trip to the Council of Europe in Strasbourg recently. The students interacted with three Judges of the European Court of Human Rights as well as senior representatives of the Parliamentary Assembly, the Committee of Ministers and the Office of the Commissioner for Human Rights. “Actually being present at the Court to see judges and barristers use and consider the tools that we have studied, then apply them in a real-life human rights case is a whole other experience,” said Ruby Oayda, a year two law student from the Dubai campus. The trip included a visit to the Debating Chamber of the Parliamentary Assembly of the Council of Europe, followed by a meeting with the Head of the Legal Affairs and Human Rights Department, Andrew Drzemczewski. “I am so grateful to have been given the opportunity to actually see what we have spent a year learning about in our Human Rights module,” added Ruby. Enriching their courses by putting theory into practice, the trip encouraged students to look beyond the classroom to real-world situations. Students from Dubai and London, and from programmes including BA International Politics and Law, LLB, LLM and PhD , had the opportunity to interact with one another, sharing different experiences of University life. "Each day during the trip was different from my life at university - it introduced me to the different fields of human rights, many of which are not covered by my research," explained Mohammed Alhmoudi, a PhD Social Policy student. “Middlesex University is a centre of expertise in research and teaching about human rights,” added the organisers of the trip Dr Alice Donald and Dr Tenia Kyriazi. After the success of the trip, it is hoped the Council of Europe visit will become an annual fixture for the School of Law. ““The Council of Europe protects the rights of more than 800 million people in 47 states and it is vital that the next generation of practitioners and scholars understands and promotes its work,” said School of Law Dean, Professor Joshua Castellino. Learn more about studying Law at Middlesex.